No matter how smart and high-tech the Apple iPhone is, there is a limitation to its battery life. After a time of usage, you may find your iPhone drains easily and quickly, especially when you update to iOS 10/9.3/9.2/9/8/7, download some apps, etc. Here are some useful tips to help you improve your iPhone battery life, including iPhone SE, iPhone 6s, iPhone 6s Plus, iPhone 6, iPhone 5S, iPhone 5C, iPhone 5, iPhone 4S, iPhone 4, iPhone 3GS. How to Improve iPhone 5S/5C/5/4S/4/3GS Battery Life? Some of the old versions of software may get some bugs which consume your battery power. So you'd better make sure your iPhone always has the latest software. Connect your iPhone to computer, select iPhone in the Source List and click "Check for Updates" in iTunes to see whether there are new software or not. Or go to Settings > General > Software Update on your iPhone using wireless. Note: Due to some improper operations when you are updating, you may accidently delete some important files. If you are in this case, use iPhone Data Recovery to restore the deleted iPhone files. Some of the settings may decrease your iPhone battery life. 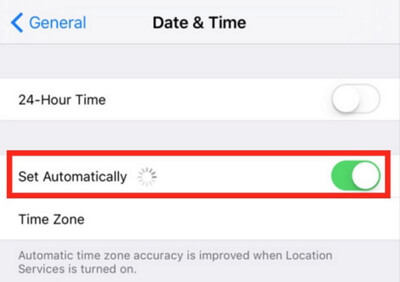 Below is the list of some settings you need to optimize in order to extend your iPhone battery life. Adjust brightness or turn on Auto-Brightness. Go to Settings > Brightness & Wallpaper. Lower down the default screen brightness. Or head to Settings > Brightness & Wallpaper and set Auto-Brightness to On. Turn off Bluetooth. Transmitting data wirelessly will take battery power and leaving Bluetooth on can also require more juice. Go to Settings > Bluetooth. Move Slider to Off. Turn off push mail. If you don't need the push mail account, then turn off it. Navigate to Settings > Mail, Contacts, Calendars > Fetch New Data. Set Push to Off. Turn off 3G or 4G. Using 3G or 4G LTE requires your iPhone more battery life. Go to Settings > General > Cellular > Slide Enable 3G/LTE to Off. Turn off push notifications. Applications relying on push notifications may impact battery life. Go to Settings > Notifications. Disable notifications. Turn off location services. Disabling all location services is a good way to conserve battery life. Navigate to Settings > Privacy > Location Services. Tap On/Off to turn off all the Location Services. You can also turn off any other apps that you don't use frequently to save your battery power. Sometimes doing some operations on the SIM card can also help to improve iPhone 5/4S/4/3GS battery life. Remove the SIM card, disable all network connections and restart your iPhone. Then insert the SIM card into your iPhone. 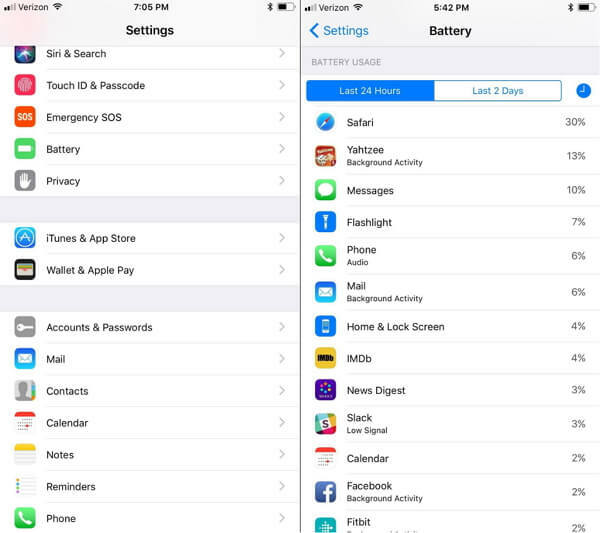 To save more battery power, you can lock your iPhone when you aren't using it. Press the Sleep/Wake button or go to Settings > General > Auto-Lock and set the interval to a short time to set the Aoto-Lock interval. Make sure your iPhone go through at least on charge cycle every month. You should also charge the battery to 100% and then completely run it down. This will do good to your lithium-based battery. Do a completely installation of iOS. 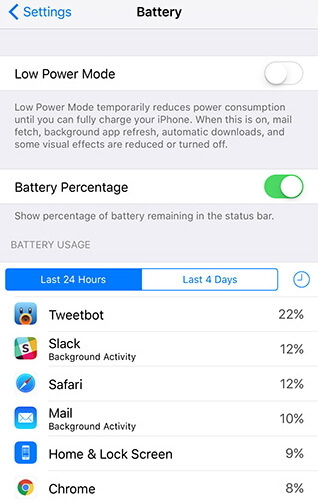 This can help you better improve your iPhone battery life. Don't forget to back up your iPhone data because iOS install or update would delete your data. If you do forget to back up, use iPhone Data Recovery to help you recover the lost data. With all the above tips to be carefully taken, you are surely to improve your iPhone battery life. If you have other nice tips to make iPhone battery life longer, you are welcome to share with us, or if you have any problem, please don't hesitate to consult with us.